Islam teaches that God (Allah) has sent guidance to human beings, through His prophets and books of revelation. Believers are expected to follow that guidance to the best of their ability. Islam defines sin as an act which goes against the teachings of Allah. All human beings sin, as none of us is perfect. Islam teaches that Allah, Who created us and all of our imperfections, knows this about us and is All-Forgiving, Merciful, and Compassionate. What is the definition of a “sin”? The Prophet Muhammad once said, "Righteousness is good character, and sin is that which wavers in your heart and which you do not want people to know about." In Islam, there is nothing like the Christian concept of original sin, for which all human beings are eternally punished. Nor does sinning automatically cause someone to be ousted from the faith of Islam. Followers each try their best but fall short and seek Allah’s forgiveness for their shortcomings. Allah is prepared to forgive, as the Quran describes: "…God will love you and forgive you your sins; for God is Much-Forgiving, a Dispenser of Grace" (Quran 3:31). Other missteps are known as Minor Sins; not because they are insignificant, but rather because they are not mentioned in the Quran as having a legal punishment. These so-called “minor sins” are sometimes overlooked by a believer, who then engages in them to the extent that they become part of their lifestyle. Making a habit of sinning brings a person further away from Allah, and causes them to lose faith. The Quran describes such people: “...their hearts have been sealed by the sins they have accumulated” (Quran 83:14). Additionally, Allah says that “you counted it a little thing, while with Allah it was very great” (Quran 24:15). One who recognizes that he or she is engaging in minor sins must vow to make lifestyle changes. They must recognize the problem, feel remorse, vow not to repeat the mistakes, and seek forgiveness from Allah. Believers who sincerely care about Allah and the hereafter must do their best to avoid both Major and Minor sins. 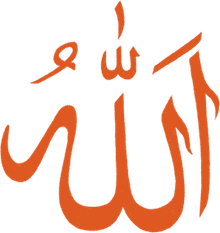 Associating others with God (shirk or polytheism) – This is the only sin which Allah considers unforgivable, as it violates the primary tenet of Islam which is the Unity of God. In Islam, committing a sin doesn't eternally separate a person from the Almighty. The Quran reassures us that Allah is prepared to forgive us. "Say: Oh, my servants who have transgressed against their own souls! Do not despair of Allah's mercy. Indeed Allah forgives all sins, for Truly He is Oft-Forgiving, Most Merciful” (Quran 39:53). Does the Quran Say Anything About Terrorism?